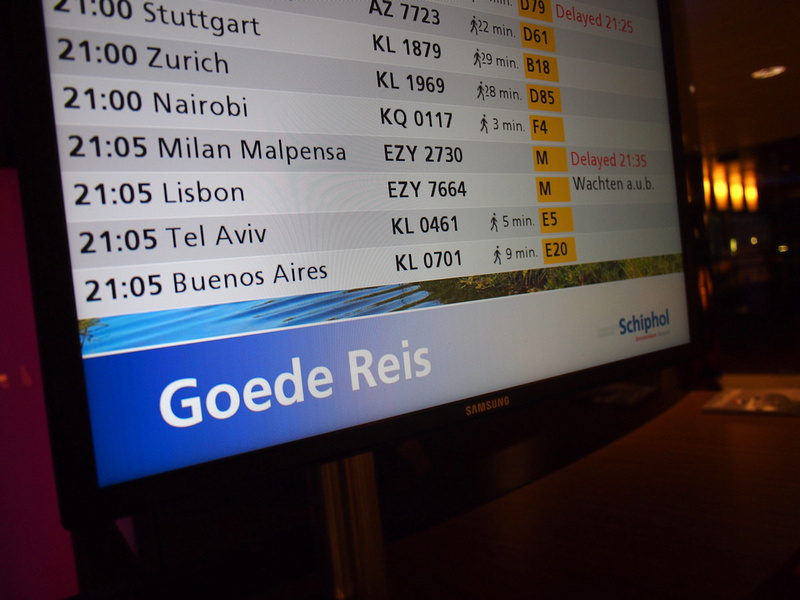 As part of my trip to South America in partnership with Air France/KLM, I had a stopover in Amsterdam for a few days. 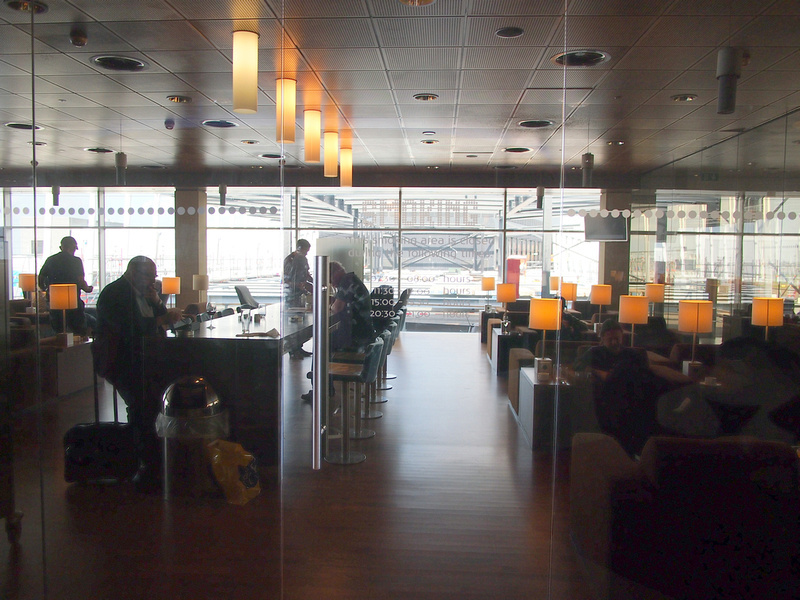 I was flying economy to Buenos Aires but I was given a lounge pass by KLM to use for the day. As my flight was at 9pm and I had a midday checkout at my hotel it turned out to be a good day to work while reviewing the lounge. 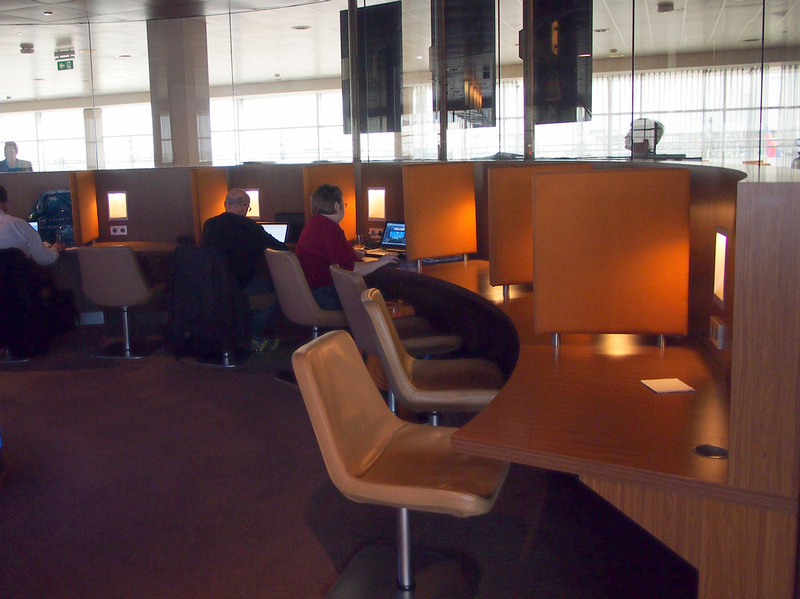 Even without a lounge pass I think Amsterdam Schiphol is a great place to hole up and work as there is free wifi access throughout the airport. On this visit though I was spending the day in the lounge. 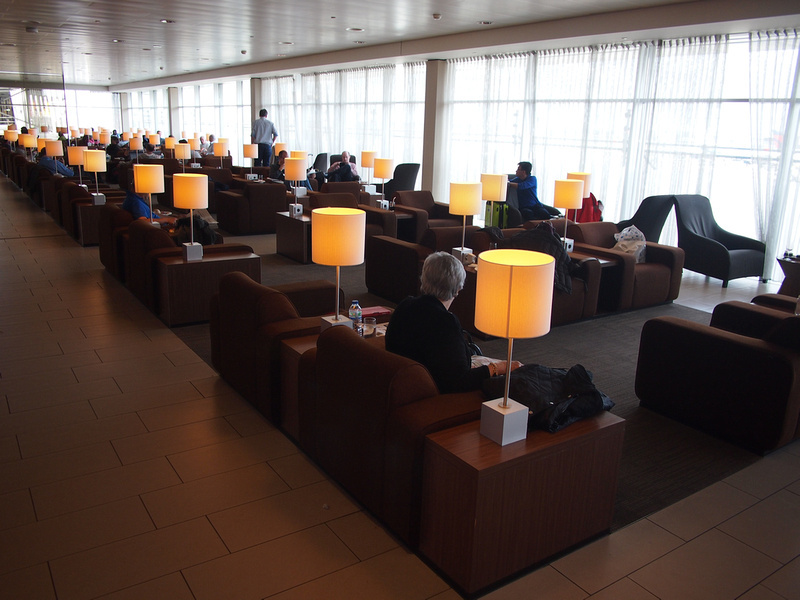 The lounge chairs feature individual lighting and power outlets. 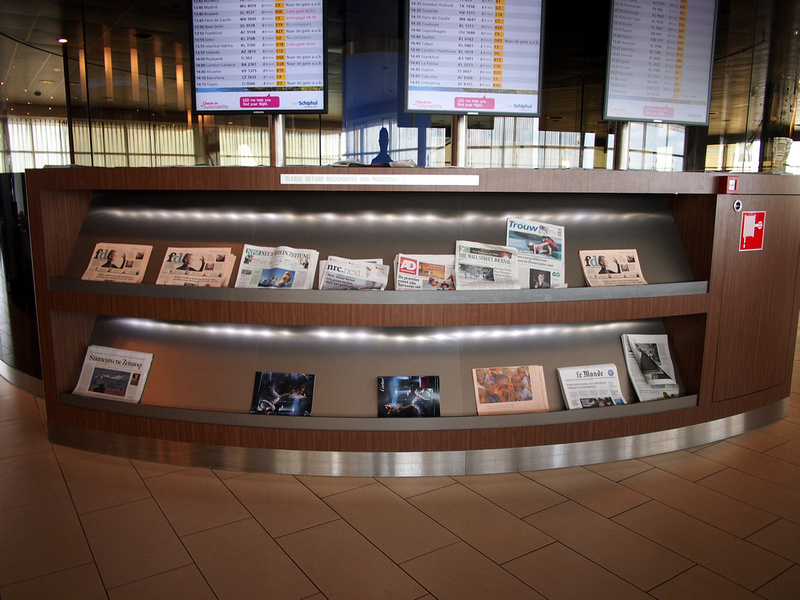 There is free wifi (of course) and for those who like their news to be printed on papers there is a selection of international newspapers. 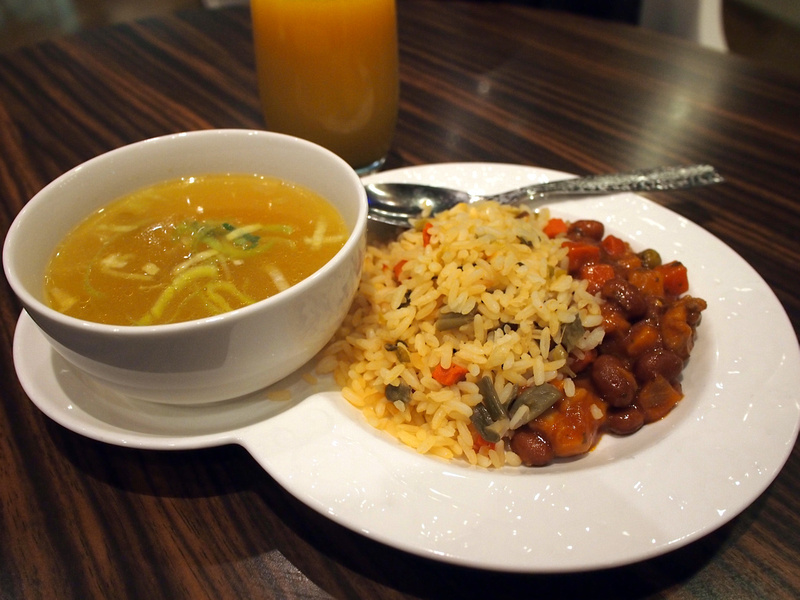 I had a late lunch of chicken soup, rice, and chile con carne. 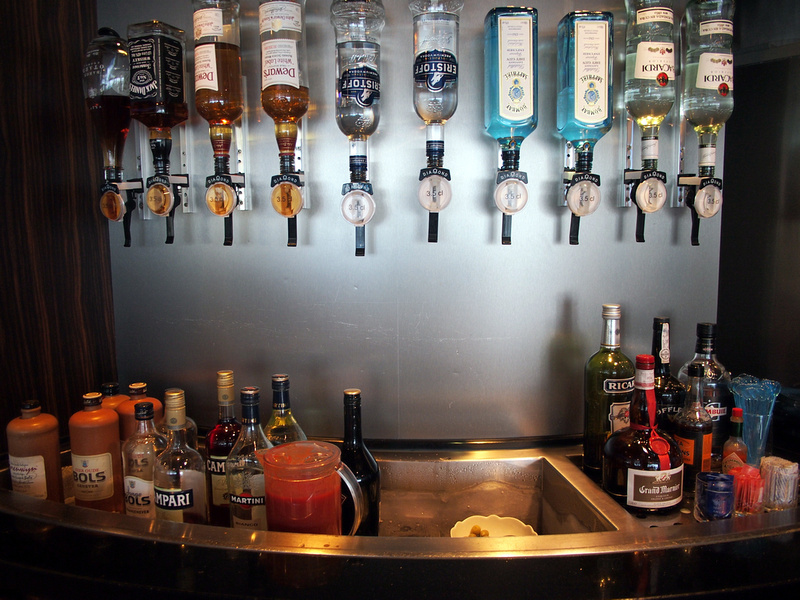 It is all self serve and there are chefs on hand resupplying as needed. I was happy to help myself to the coffee machine. 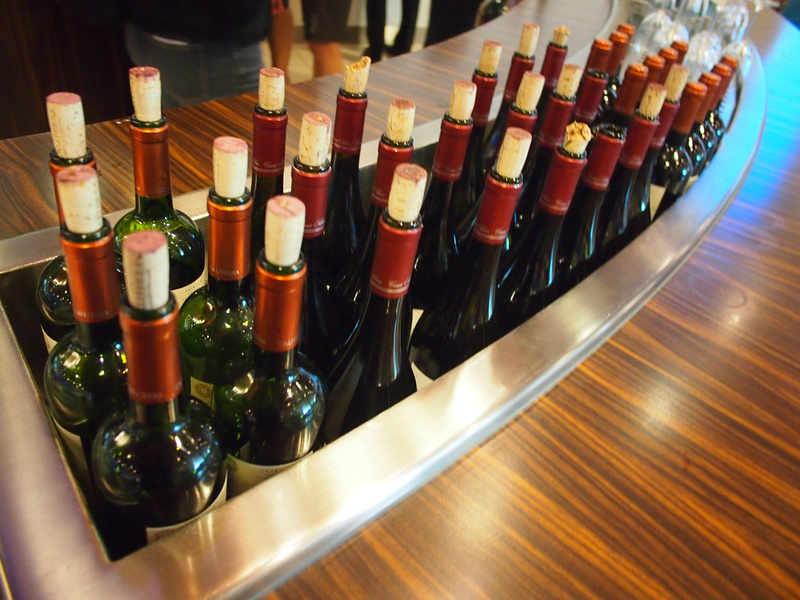 For those looking for the harder stuff there is a wine bar and Heineken on tap. After wandering around, snacking on practically everything (for research purposes), and testing out the coffee machine I retired to one of the work desks for the afternoon. Smokers are looked after here as well with a special smokers den. And one of the best features of working in a lounge is that there are no PA announcements. It’s up to you to make sure you don’t miss your flight! If you want to visit the lounge here is the access policy. 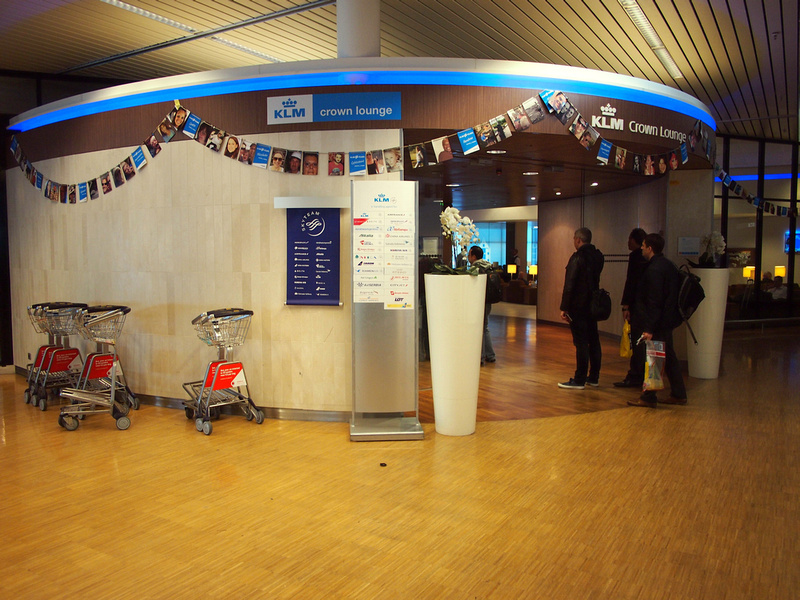 I was a guest of KLM from London to Amsterdam and from Amsterdam to Buenos Aires.